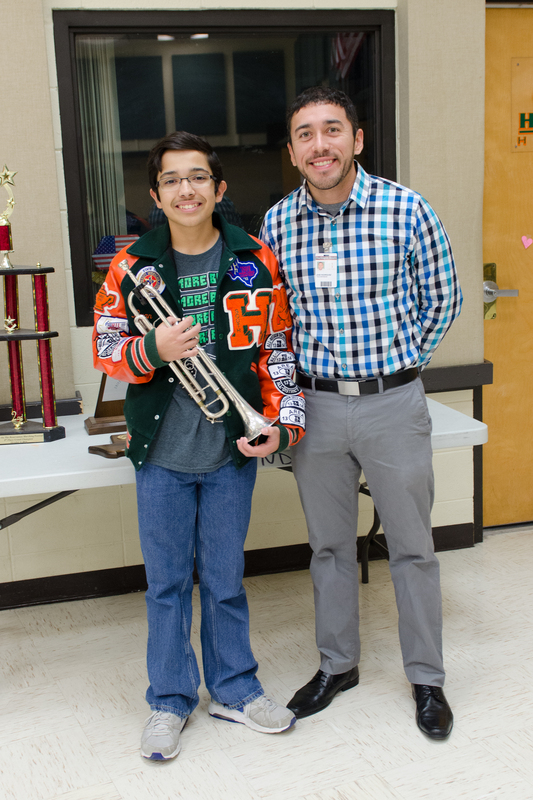 Three Harlingen Consolidated Independent School District students now belong to an elite group of Texas musicians. 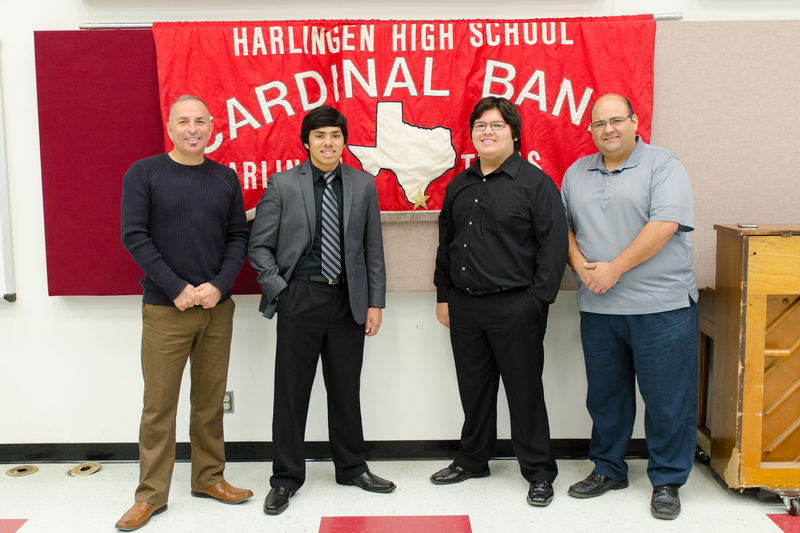 Performing at the highest level, Israel Yanez and Myles Rosenbaum from Harlingen High School and Ryan Mowers from Harlingen High School South, earned positions in the TMEA (Texas Music Educators Association) All-State Jazz Ensembles. Only the highest-ranking musicians judged at the TMEA Area competitions qualify to perform in the TMEA All-State music groups. Drum instrumentalists, Yanez (Jazz Ensemble 1) and Rosembaum (Jazz Ensemble 2), earned first and third chairs respectively. Mowers, earned sixth chair and will be performing lead trumpet in Jazz Ensemble 2. The students will rehearse and perform with the 2015 TMEA All-State Jazz Bands at the annual TMEA Convention in San Antonio on February 11-14, 2015. The coveted all-state honor is the highest that a Texas music student can achieve. Over 1,500 students are selected through a process that starts with over 60,000 students from around the state competing for the honor to perform in one of 15 ensembles (bands, orchestras, and choirs). Congratulations to Ryan, and our former Memorial Raider Band members, Myles and Israel! Great job by you and the HHS band staff led by Mr. Rios!